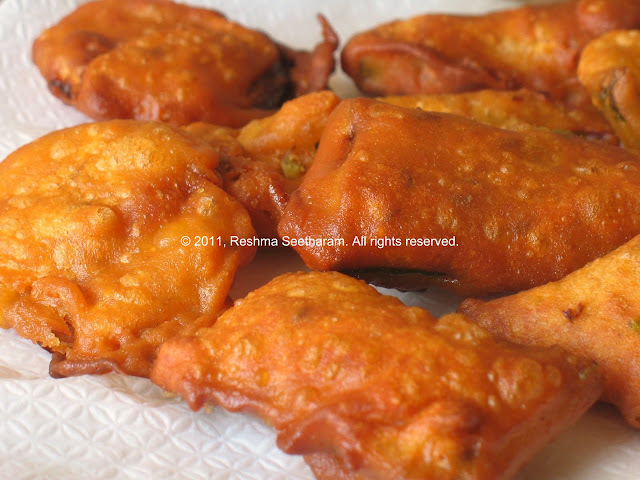 You may use many different vegetables (chilies, bread fruit, okra, carrots, beans, you name it) to makes these crisp and spicy fritters. 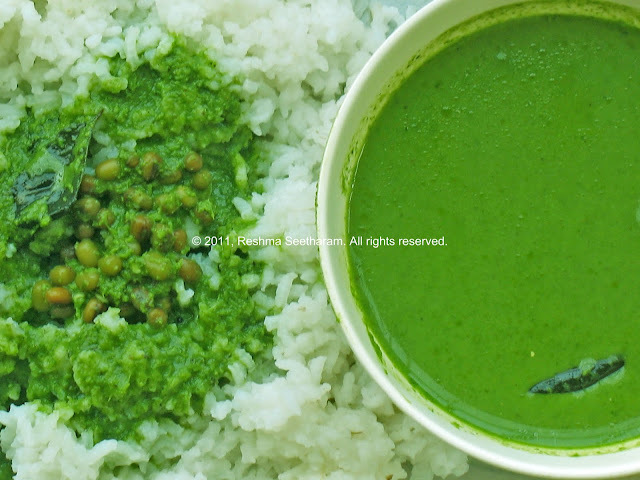 In this recipe, I have used heerekai (ridge gourd), capsicum (green peppers) and red onions. They make awesome appetizers! Wash the vegetables, and slice them down thinly. Set aside. 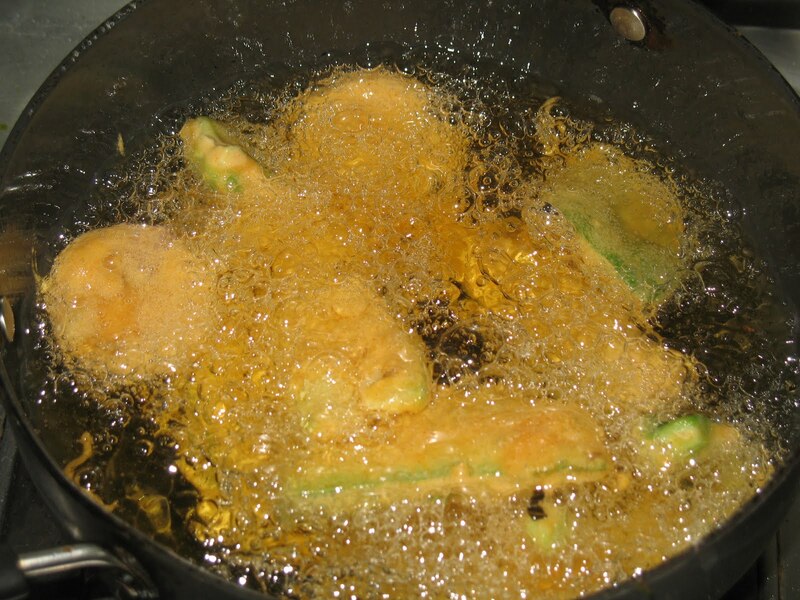 Add oil into a deep fry pan and let it stand on medium heat until it begins to smoke. In the meantime, use a fairly large bowl; add in the flours, chili powder, salt, jeera, and hing. 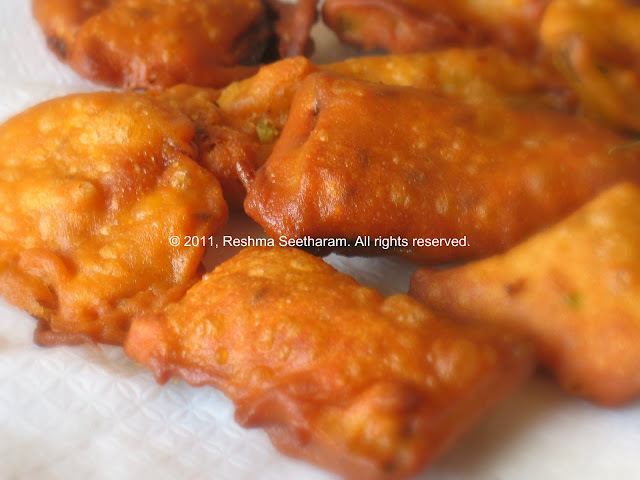 Scoop a spoon of hot oil from the frying pan and add it on the dry flour mixture, mix it in well. 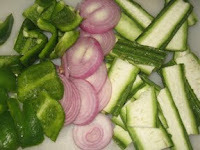 This will give the crispy texture to the bajjis. 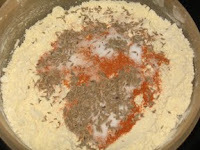 Now use ample water and mix it to form a batter. The consistency of the batter should be neither too thick nor too thin. When you dip a slice of raw vegetable into it, the batter should cling to it on both sides. Dip the vegetables and gently drop it into the smoking hot oil, reduce the heat to medium. 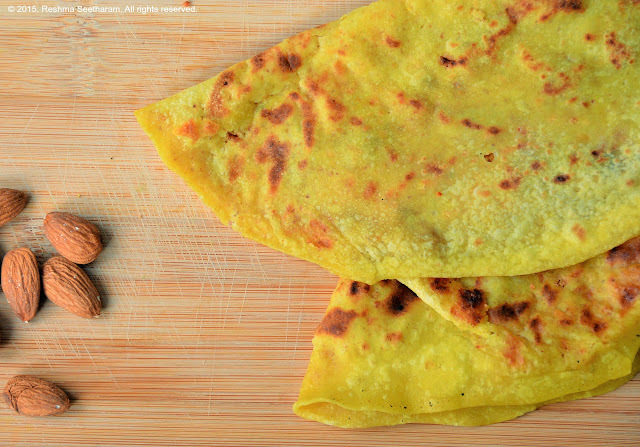 When it turns golden brown, flip it over carefully to the other side, until it is coated in a golden brown texture. Set aside on some tissues. Serve hot with tomato ketchup or a dipping sauce of your choice. Enjoy it hot!